Did you know that if you inject blue dye into your bloodstream, all your organs will turn blue, except your brain? Or that if you inject blue dye directly into your brain, your brain will turn blue, but none of your other organs will change color? The reason for these phenomena is the blood brain barrier, or BBB. The BBB consists of the capillaries in our brains that both nourish the brain and seal it off from the rest of the body’s circulatory system. The capillaries in the brain are lined with small, flat cells (endothelial cells) packed so closely together that they form a tight barrier, letting only very small molecules get through to the brain. However, the BBB is more complex than simply keeping out large cells; the BBB cells selectively and actively assist the transport of some large cells across the barrier as well. In all other parts of our body, the endothelial cells are less tightly packed, and do not seem to have such a protective function, allowing many molecules to pass back and forth between the blood stream and our organs. The problems with such an effective barrier arise when the brain develops a disease. Only 2% of all medications can cross the BBB, which provides a partial explanation for the difficulty in developing effective treatments for brain tumors, Parkinson’s disease, multiple sclerosis and Alzheimer’s disease. In the past year, researchers at the University of Southern California, assisted by funding from the Cure Alzheimer’s Fund, have published several research papers reporting that the BBB starts to “leak” as people age. 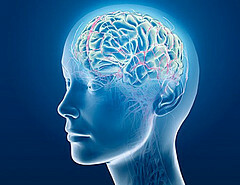 The area in the BBB that breaks down is at the hippocampus; no other area of the brain seems to develop leaks. The hippocampus, key to learning and memory, is one of the first areas of the brain to show evidence of the Abeta accumulation associated with Alzheimer’s disease. Their research further showed an association between the amount of leakage in the BBB and the extent of cognitive impairment. These findings open new avenues to explore in understanding what causes Alzheimer’s disease, as well as potential new treatments to prevent the breakdown of the BBB.